By default the temperature in Celsius is hard-wired into Jupiter. I have this app installed and it is great…apart from 1 thing. If you have set video displays to external on your laptop…and you take away your laptop without remembering to change the video setting to show both external and internal, then when you log on you end up with a blank screen and no way (that I have found yet) of getting your screen to display. Installing this screwed up my sudoers file. I kept getting these awful errors, and couldn’t use sudo. I had to reboot into recovery mode to fix it. But instead of creating a new line at the end of the file, it put it at the end of the last line. It should have checked to make sure that it was on a new line before appending to the file. I was seriously confused about what was going on for a while. MAJOR bug! 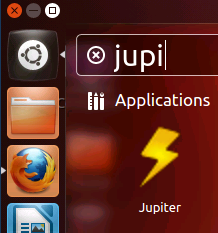 I installed Jupiter in my notebook and netbook. It was OK with the notebook Dell XPS. However, my netbook Asus eeePC 1201T became veeeeery slow (e.g., more than 5 minutes to finish the boot AFTER typing the login password — and it was really slow in all the programs I worked, like browsers and LibreOffice). I tried to uninstall the package jupiter-support-eee but the problem remained. So, I uninstalled jupiter and everything became OK again. 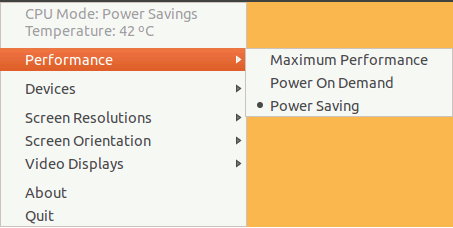 it solved my problems on an ASUS X54C-BBK3. 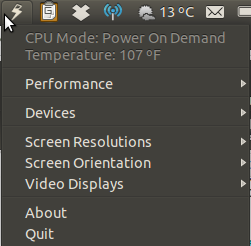 Will not work with ubuntu 13.04? can u plz help me fix it? However, i still havent figured out for it to start automatically on startup.